" When you have a woman as lovely and full of spirit as author Regina Louise, it takes not only a keen eye but an intimate knowledge of how to capture the true beautiful soul of a subject to really get the portrait to shine -- Lori Cheung created a portrait that shines as brightly as her subject deserves. Lori is wonderfully talented." I can unequivocally recommend Lori Cheung's work as a photographer. She is immensely talented. Equally important she is professional, always on time, and able to get the best out of her subjects because of her optimistic and upbeat personality. I've worked with her on two projects and can best describe the work and results as delightful. ​Lori A. Cheung is an amazing and inspiring person. I am so grateful to have had the opportunity to have worked with her. She's by far, the most fun-loving, inspiring photographer to work with and I could feel my spirit unfolding when we took the pictures. I am convinced they embody what I stand for and what she stands for -- bringing Love to the world. Being photographed by Lori is a very special treat, the joy, the ease, the professionalism, commitment to Excellence, and playfulness makes the experience something you will never forget. It touches your HEART and Soul at a deep level. I truly felt like I was so special, a total experience of Honor, Respect, Joy and Play. If you are looking for the BEST, want absolute Excellence, and Total Creativity, then look no further than Lori Cheung, she is a Master craftsman. ​Lori is an amazing person and extraordinary photographer. I pride myself on experience with photographers and can testify that she has a unique gift of capturing the spirit of a being in her beautifully orchestrated art. Colours and energy are vibrant and her pictures tell stories the world is longing to hear. I learned something about myself from her portraits, coaxed out by Lori's sparking and deeply nurturing approach. This is truly inspiring! She will get your face to tell wonderful secrets you didn't know, it's as if my soul was tickled to come out and play. Rarely has anyone captured the essence of "me" in a portrait like Lori has. I can only recommend you to work with Lori. ​“Dear Lori, thank you for your patience and generosity of spirit you displayed during our photo shoot for the re-publication of my book. Your friendly, gentle, self-assured confidence slipped easily right under my high-level apprehensions. You made my photo shoot a caring, truly fun, and enjoyable experience. Thank you for being you." ​Dear Lori, I’m writing to let you know how thrilled we are with the pictures you took of our latest event. You have once again shown us what it is like to work with a true professional, and you will forever be known in our household as our Official Family Photographer! Not only is your work exquisite, your spirit shines through every shot. Countless guests at our party commented on how delightful it was to watch you do your magic. I will only add how easy it is to communicate and work with you, and that the final result is everything and more that we had hoped it would be. Thank you again for adding value to everything you touch. It will be my pleasure to refer you to anyone I come in contact with who is looking for the best when it comes to photography. ​"Lori is an angel. I saw her work on display and knew she had to photograph the love of my life, Buster Brown. We had an amazing day, all of us together, playing on the beach. But, seeing the slideshow she put together for my first viewing of the photos was more moving than I thought possible. They were gorgeous. Buster recently passed away. I had my own photos I had taken of him, but the magic of Lori's photos has brought me much comfort. She has captured the essence of Buster's and my relationship so purely, now I know I will never forget. Each photo reveals piece by piece Buster's incredible personality and pride. Moreover, I know I have a means to share with my family and friends something words could never fully express. Thank you would never be enough. She is my angel." 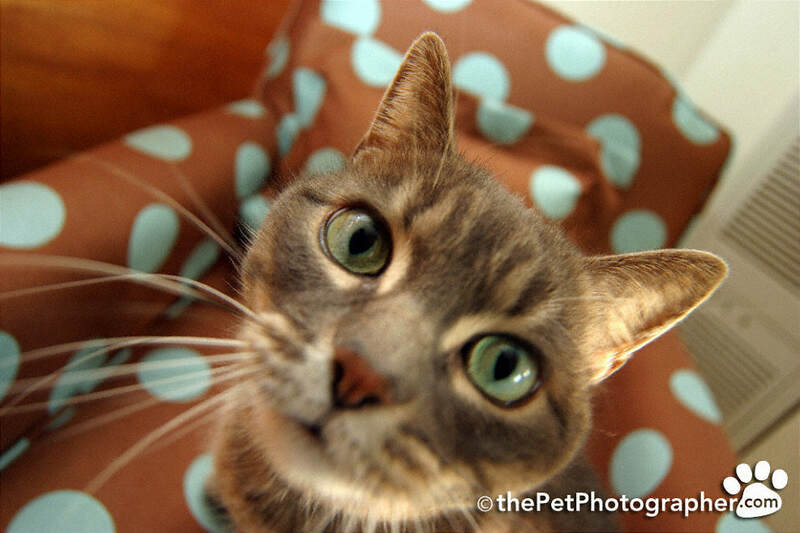 ​Lori is the best outdoor candid pet photographer we’ve ever seen! She has the most amazing eye for composition, color, and capturing the unique personalities of every pet. We feel extremely lucky to show her work in our store, feature her images on our website, and host her fantastic talents during our pet portrait days. ​Lori A. Cheung is the Annie Leibovitz of the animal world. Lori's amazing energy makes pets glow with star quality. I have been very lucky to work with Lori, who is an award-winning pet photographer and has been featured in O, the Oprah Magazine, Animal Planet, and international books and press. Lori is a visionary who easily comes up with ideas to accomplish our goals. She is intelligent, creative, and energetic. She is very passionate about animal welfare and non-profit organizations and has traveled all over the world to photograph the spirit of animals in their natural habitat. She is also the Founder of Pets for World Peace, which was created to support animal rescue, animal therapy for humans, veterinarians, dog rescue of humans in earthquakes and other emergencies. Lori's devotion to contributing to non-profits and humanitarian activities was recognized on a global level by winning the International Women's Day Community Service Award. ​To know Lori, is to know that she has the utmost respect for all creatures great and small. This respect is evident during her portrait sessions with the furry four-footed stars. Harley, our German wire-haired pointer/shepherd mix, saw in Lori, a kind, friendly soul. Harley trustingly and open-heartedly showed her his soul while peering through his beautiful blonde bangs into her lens. Our portraits of Harley's character and spirit are works of love that will live forever in our home. I contacted Lori when I knew I would soon have to put my Golden Retriever, Boomer, down due to cancer and she graciously arranged her schedule to accommodate ours. Lori was fabulous with Boomer, very patient and understanding and knew the importance of my desire to document his sweet personality. I am so glad Lori captured how special he was and I cherish all the photos. I look at them often. I recommend Lori Cheung, The Pet Photographer for a wonderful experience, with both creativity and a love of animals. Lori's passion and understanding make all the difference. The portraits honor Boomer's legacy and they are BEAUTIFUL!!! !